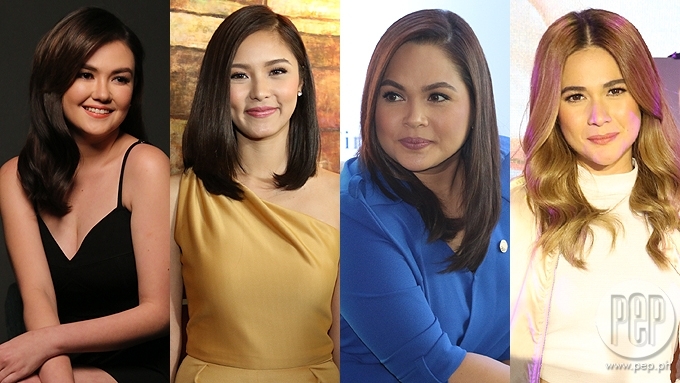 (L-R) Angelica Panganiban, Kim Chiu, Judy Ann Santos, and Bea Alonzo are just four of ABS-CBN's most loyal actresses. 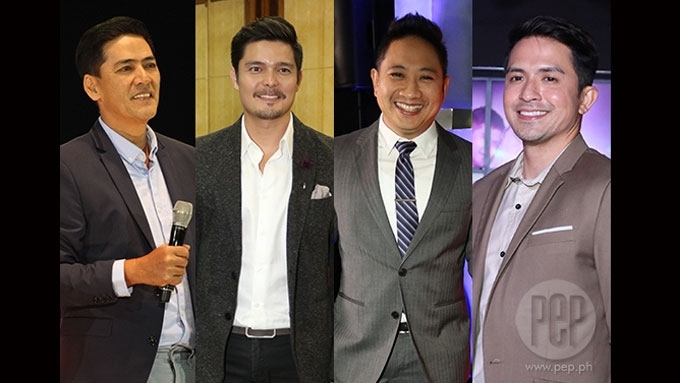 In Pinoy show business, staying in one network since the start of one's career is no easy feat for celebrities. This 2016, the public has seen a lot of network transfers. Some returned to their original mother networks, while others decided to try their luck with new management. Of course, who could resist offers about career growth? Although she started as a child star in Ula: Ang Batang Gubat in IBC-13 and became part of GMA-7's That's Entertainment, Judy Ann spent most of her life in ABS-CBN. She made her mark through the long-running teleserye Mara Clara in 1992. The success of her teleseryes paved the way for her to be given the title "Queen of Pinoy Soap Opera" in 2010. She was featured in the pilot episode of Wansapanataym in 1997 and several Maalaala Mo Kaya episodes, one of which was the horror presentation titled "Agua Bendita" in 1997. Judy Ann was rumored to transfer to rival networks in the past. These rumors became louder when she was given the chance to promote her movies in GMA in 2008, and when her teleserye Huwag Ka Lang Mawawala was cut short in 2013. However, she still chose to stay with the Kapamilya network until now. Angelica started as a child star in 1993 in film. In 1995, she became part of Star Circle Batch 2 and ventured into television as the lead child actress in the weekly drama series Familia Zaragoza. She also joined other young stars in Ang TV. 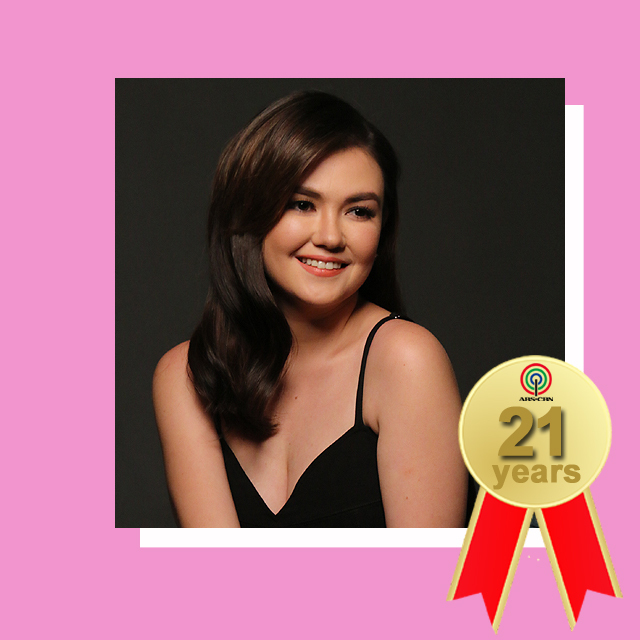 It was in the Kapamilya network where Angelica underwent different phases: from being a child star to teen star to villain to leading lady, and just recently, to being a mother. She has established her ability to excel in drama as well as comedy. In fact, she is one of the original members of the gag show Banana Sundae. In an interview with a magazine in 2013, as reported by ABS-CBN News, Angelica had received offers to transfer networks in the past, but she said: "Para akong lilipat ng bansa, ganoon yung pakiramdam ko... Bagong bahay, bagong community, bagong pakikisamahan." Notable Kapamilya Projects: Ang TV (1995-1997), G-Mik (1999-2002), Maalaala Mo Kaya: Unan (as Julie Vega, 2003), Vietnam Rose (2005), Maging Sino Ka Man (Book 1, 2007 and 2, 2008), Iisa Pa Lamang (2008), Rubi (2010), Apoy sa Dagat (2013), Pangako Sa 'Yo (2015). Kaye started her showbiz career as part of Star Circle Batch 3 in 1996. She was immediately included in the teen-oriented show Gimik. In 1999, Kaye and John Lloyd Cruz led the pack of Kapamilya teen stars featured in Tabing Ilog. Kaye has also been known to take part in remarkable Maalaala Mo Kaya episodes such as "Aklat" (1998), "Burger Joint" (2000), and "Mikropono" (2003), wherein she portrayed her real-life best friend Carol Banawa in the latter's biographical episode. Dimples started her career in ABS-CBN by joining Star Circle Batch 4 in 1997. She was a cast member of the soap opera Esperanza starring Judy Ann Santos. After that, Dimples became a villain in Tabing Ilog. The network initially groomed Dimples to become a leading lady. In the 2002 teleserye Kay Tagal Kang Hinintay, she was one of John Lloyd Cruz's love interests. However, Dimples found her niche in being a character actress. 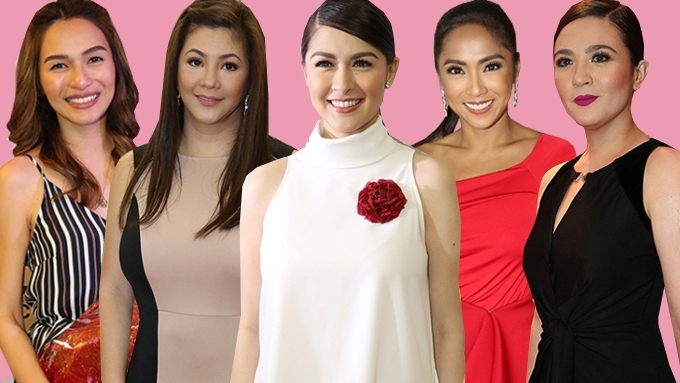 She has proven that she could bring life to a best friend, a kontrabida, and a mother--roles that were just as compelling to watch as the lead stars in teleseryes. Notable Kapamilya Projects: Tabing Ilog (1999), Kay Tagal Kang Hinintay (2002), Ang Panday (2005), Lobo (2008), Only You (2009), Agua Bendita (2010), Maalaala Mo Kaya: Kalapti (as Imelda Marcos, 2010), Mara Clara (2010), Oka2Kat (2012), A Beautiful Affair (2012), And I Love You So (2015), Maalaala Mo Kaya: Toothbrush (as Leni Robredo, 2016), The Greatest Love (2016). Nikki joined Star Circle Batch 4 in 1997 and was included in the cast of the comedy show Home Along Da Riles. During the first few years of her career, she found her niche in doing comedy projects, as she also did Ok Fine, Whatever! (2002) and the movie Ang Tanging Ina (2003). Nikki also showed her prowess in singing when she was included in the variety show ASAP. Later on, she ventured into doing teleseryes. 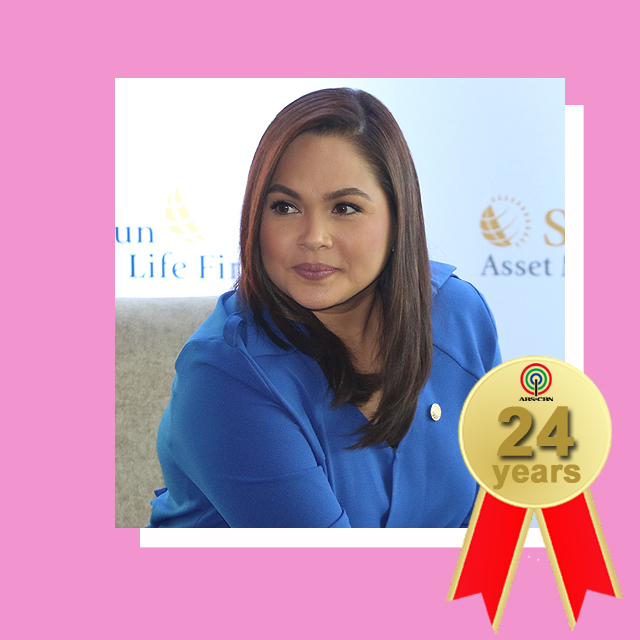 Shaina's first TV show aired on GMA-7 in 1996, but a year later, she decided to transfer to ABS-CBN where she has stayed for almost two decades. As a child star, she was included in the gag show Kaybol: Ang Bagong TV and in the soap opera Mula sa Puso. She can be considered one of the actresses whom viewers saw growing up onscreen. One of her earliest roles was playing Rina in the afternoon drama series Marinella. She moved on to teenybopper roles and later on, transitioned to mature roles. She has gained the reputation of being known as the afternoon drama queen of ABS-CBN. After going through numerous auditions in commercials, Jodi found herself becoming a part of Star Circle Batch 7 in 1998. Her first TV appearance was a bit role in an episode of Star Drama Theater presents starring Jolina Magdangal. Jodi was included in the last batch of Gimik in 1998 and in Tabing Ilog that same year. Jodi agreed to play supporting characters, even kontrabida roles, in her succeeding TV projects. In 2012, she was tapped to play the lead actress in the daytime series Be Careful with My Heart alongside Richard Yap. The series stayed on air for two years and four months. After being discovered in a beauty pageant, Bea found herself joining Star Circle Batch 10 in 2001. She was included in the weekly teen-oriented series K2BU, together with her best friend Shaina Magdayao, Angelene Aguilar, and Pia Wurtzbach (who eventually became Miss Universe 2015). Bea got her big break on TV when she was chosen to be John Lloyd Cruz's leading lady for the teleserye Kay Tagal Kang Hinintay. Her tandem with John Lloyd proved to be successful in soap operas and movies. Maja was first introduced as John Prats's love team partner in the 2003 series It Might Be You topbilled by Bea Alonzo and John Lloyd Cruz. At that time, Maja was only known as the daughter of former actor Ross Rival and as the niece of Philip Salvador. Eventually, Maja was able to carve a name for herself when she was tapped to be one of the lead actresses in the suspense-fantasy series Spirits in 2004. She got her fair share of big breaks but she also experienced getting shelved projects including Moon River and Anna Liza. Known for having the most number of Maalaala Mo Kaya episodes among this generation's stars, Maja got her solo teleserye in 2009 via Nagsimula sa Puso. Aside from being an actress, Maja is also known as a dance princess who wows audiences on the ASAP as well as the concert stage. Known for her role as Pepay in TV shows Mangarap Ka and Mga Anghel na Walang Langit, Miles Ocampo has been in the public eye since she started out as a child star. She was first included in the gag show Goin' Bulilit, and also played the young Miriam Defensor-Santiago in the latter's Maalaala Mo Kaya life story. When she grew up as teen actress, Miles topbilled the comedy teen-oriented show Luv U in 2012 and was later on featured in other teleseryes. In 2015, Miles got her big break when she played one of the lead actresses in the afternoon series And I Love You So. Sharlene won first runner-up in Star Circle Kid Quest in 2004, and was immediately tapped to play young Judy Ann Santos in Krystala. Sharlene became part of the kiddie gag show Goin' Bulilit and the teleserye Mga Anghel Na Walang Langit in 2005. In 2006, Sharlene got her lead role in the early primetime series Calla Lily where she played twins. She also brought life to Sarah in the TV version of Princess Sarah. 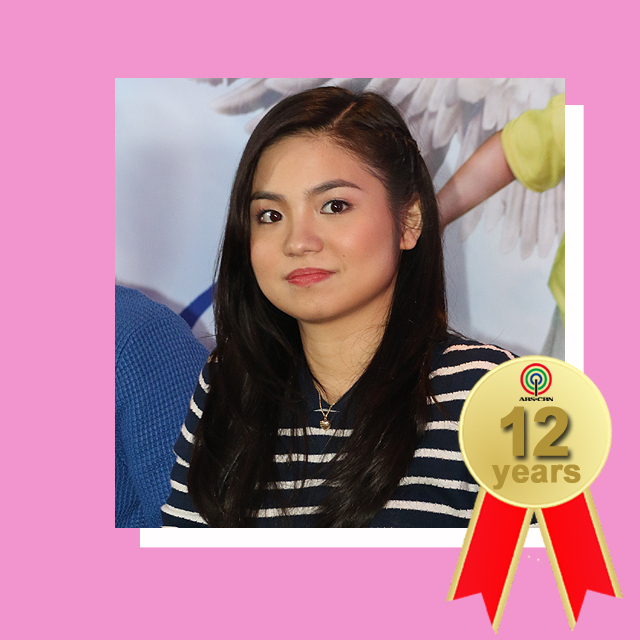 When she became a teen star, Sharlene was included in the second batch of Luv U teens and was paired with Jairus Aquino to form the popular JaiLene tandem. Aside from doing teleseryes, Sharlene is currently a VJ of MYX. She is part of the new Kapamilya teleserye Langit Lupa. Pokwang won the 2004 contest called Clown In A Million, a segment in the defunct comedy show Yes Yes Show. She became a regular host of the entertainment show and was also given a role in the afternoon series Maid in Heaven. While doing teleseryes and other comedy shows, Pokwang became a mainstay of Wowowee in 2007 as a co-host. Later on, she concentrated in doing teleseryes while still being part of ABS-CBN's gag show Banana Sundae. 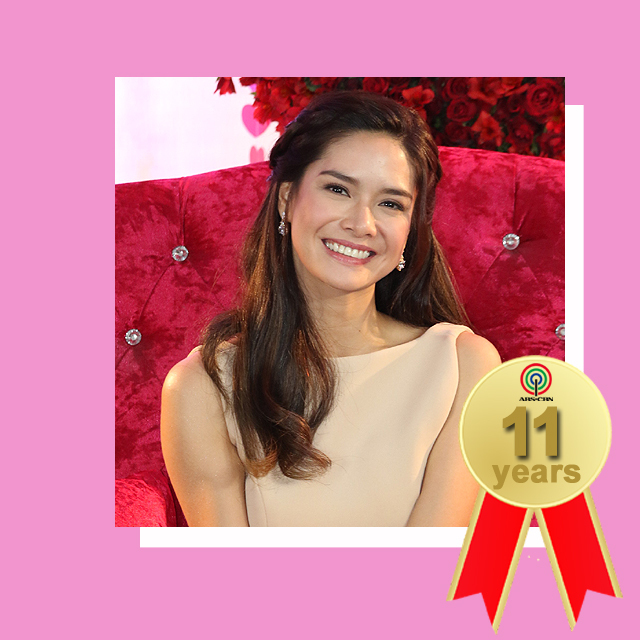 Erich won as the Grand Questor of Star Circle National Teen Quest in 2005, with Arron Villaflor emerging as the first-runner up. Following her triumph, she was given several supporting roles in teleseryes. In 2009, Erich finally got her big break when the TV adaptation of Katorse, which was supposedly a weekly series, was turned into a full-fledged late afternoon series. The show received high ratings and elicited strong support for her love team with Enchong Dee. In 2014, Erich became even more popular when she reprised the role of Janine in the Filipino remake of Two Wives, especially when Daniel Matsunaga entered the series. The two became a real-life couple and starred in their own daytime series Be My Lady. Kim emerged as the winner of Pinoy Big Brother Teen Edition in 2006. Since then, she has been constantly been featured in a string of projects. She did several weekly dramas such as Love Spell and Your Song. She has also topbilled various multi-generational teleseryes such as Sana Maulit Muli and Ina Kapatid Anak. This 2017, she will revive the Kimerald tandem with her ex-boyfriend and former leading man Gerald Anderson for the teleserye Ikaw Lang Ang Iibigin.